Newbury Village's Central Space. 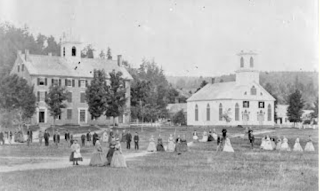 Described by one 19th century newspaper as "Newbury's sacred possession," the common has been at the center of the village's educational, religious, civil, economic and recreational activities. Its ownership has been shared with a number of entities since the early 19th century. Modern photo courtesy of Newbury Village Store. East and West Common--This open land, along with the Orford mall, are centerpieces to what one mid-1800s visitor called "the most charming country village." They were established in the late 18th century for the purposes of a training field, academy, meeting house and burial grounds. In 2004, I made a presentation to the Bradford Historical Society on the legacy of Bradford’s common lands. This article expands on that topic by adding materials from some other area towns. Newspaper archives, town plans, online sources, interviews and local histories provide background information. Not all examples of common lands are included. In early New England communities, the initial proprietors set aside the land that was not privately owned as “common lands.” In some cases, parcels were designated as cow or ox commons and could be used by all for grazing or for gathering of fuel. As newcomers arrived, parcels were sometimes granted to them. This distribution of common land was not without considerable controversy. As village centers developed in these early communities, a central piece of land was set aside as a permanent common or green. That property was surrounded by the town church, stores, taverns, district schools, and the homes of the town’s most prominent families. This was not the “common land” of England, where the term often referred to large tracts of land owned by the village or local feudal lord to which locals were allowed access, but with restrictions. A main motivation for migration to New England was the possibility of land ownership, something rare among the lower classes of Europe. For the colonists, land ownership become synonymous with personal and economic freedom. That individual freedom was combined with a spirit of co-operation needed for survival and community enhancement. When the royal governor of New Hampshire chartered many area towns, he gave the land to friends and associates, many of whom never visited or settled here. In addition to land set aside for the governor himself, four 300-acre plots, called glebes or lease land, were assigned for the support of the local school and church as well as the Church of England and the Society for the Propagation of the Gospel in Foreign Parts. Over the years, land transactions turned most of these parcels over to actual residents and other entities. 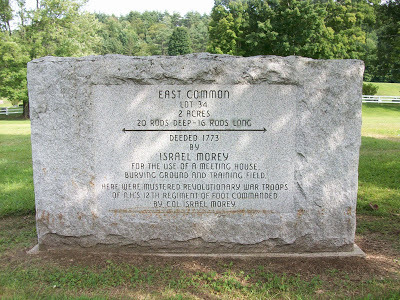 So why is it that some area towns replicated the central common of southern New England and others did not? Bradford does not have one and I think a reason for that is the location of the village along the falls of the Waits River. That village grew up along the central road on a snug piece of land between the flood plain and Mt. Tug rather than on the broad river plateau of the Upper or Lower Plain. Imagine, if you will, a Bradford village on the Lower Plain with a broad common green as found in other communities. Another reason may be that Bradford was not chartered by the royal governor of New Hampshire and therefore lack the glebe land found in neighboring towns. The original settlers were squatters living in an unrecognized piece of territory until it was chartered by the governor of New York in 1770. These pitch-holders, their claims now legitimized, were willing to set aside land for a school and meeting house, but not for a town common. Why then do many local communities have beautiful “ornamental commons” framed by historic houses and public buildings? The need for a central common was satisfied by the generosity of large landowners from among the early settlers. The commons in Haverhill Corner provide an excellent example of this generosity. The North Common, adjacent to the brick church, originally belong to those whose houses ringed the property. It was given to the town in 1788 by a group led by Col. Charles Johnston. In 1807, it was expanded when a store on the southwest corner was relocated. The South Common was given to the town around 1800 by tavernkeeper Asa Boynton. Over the years, these properties have been improved with fencing and a bandstand. Orford’s west village has one of the grandest commons in the area. Beginning in 1773, several major landowners began to deed land on both sides of the road for the purposes of a training field, academy, meeting house and burial ground. Known as the East and West Commons, these open spaces have been complimented by a mall that stretches along Orford’s Main Street. This mall, with both private and public ownership, led one visitor in the mid-1800s to refer to Orford as “the most charming country village” and noted the existence of the mall as its center. Framed by the West Cemetery and the grand houses of the Ridge on the east and private and public buildings on the west, the common continues to be a useable centerpiece for Orford Street. At the core of Newbury Village is that community’s common. In 1833, the New England Conference of the Methodist Episcopal Church purchased, with help from the town, a portion of the property, which until that time was private farmland. Newbury Seminary was built on the property. 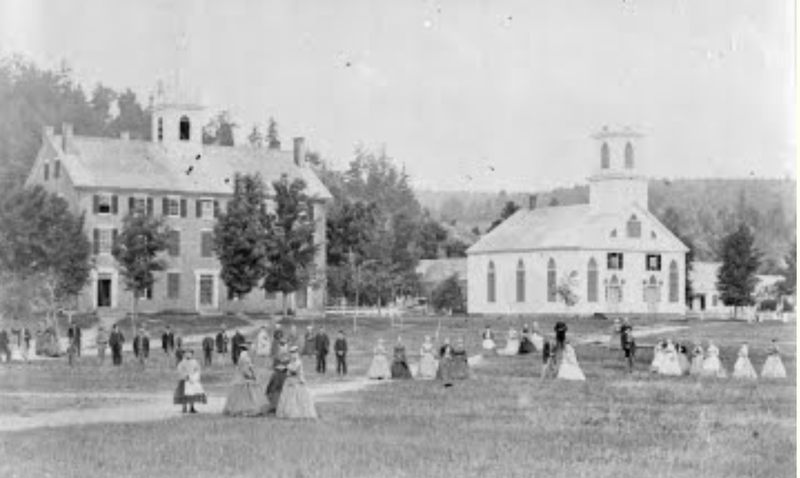 In 1868, the Seminary moved to Montpelier. In 1888, the local school district purchased the property and that ownership later passed to the Newbury town school district. In 1912, a monument to Revolutionary General Jacob Bayley was erected. The next year, a major fire destroyed a number of buildings on the common’s periphery. As is true of other town commons, the use of the property has been the subject of controversies over the years. Recently the Elementary School Board voted to subdivide that portion of the Common under their control, setting off the land immediately surrounding the school building to remain property of the district and convey to the town the remaining portion. A substantial portion along of the north side of the Common is owned by the Newbury Woman’s Club. Thetford Hill’s common is in the center of the historic district. The original common was much smaller and had the town’s meetinghouse at its southern end. The property was enlarged in 1795 and again in 1818. In 1830, the meeting house was moved to an adjacent property north of the common. As the attached 1877 map shows, the common was ringed by private homes, an academy and post office. Since 1913, the common has been the site of a summer as well as other community gatherings. Groton’s Veteran’s Park in Groton Village offers a gazebo along with opportunities for recreation and civic events. Puffer’s and Frost Ball Fields are also Groton town property. Dotting town commons in the area are civic structures and monuments. In Fairlee, the 1926 Soldiers Monument and flagpole stand opposite the recently refurbished 1924 bandstand. In Lyme, a granite soldier stands at parade rest atop a memorial to that community’s Civil War veterans. In Warren, it is a Redstone Missile, brought to the town in 1971. Over the years, commons may have hosted animal pounds, water boxes, cannons, whipping posts, flagpoles, burial tombs, jails, horse sheds, fountains, and or commemorative plantings. Piermont’s pocket-sized common was eliminated in 2012 by the reconfiguration of the adjacent road. That year, after much discussion, the Veterans War Memorial that was the centerpiece of the tiny common was relocated to the new Veterans Memorial Garden in the South Lawn Cemetery. No local town common looks the same as it did 150 years ago. Building have been destroyed, moved, renovated and replaced over the years. Structural fires have altered the buildings facing local commons. Changing social and economic factors have significantly eliminated the small businesses and district schools that ringed these greens. Regular summer flea markets held in Fairlee’s Samuel Morey Memorial Park are an example of the new uses for older pieces of property. While Bradford does not have a common, it does have common land owned by the town and school. In 1946, the Bradford school district acquired from Jessie Blakely Low 65 acres of forest on Mt. Tug. It was increased in 1961 by an additional 60 acres donated by Nina St. John. Known as the Low-St. John Forest, the property is used as an outdoor laboratory for school projects as well as public recreation. In 1946, the school district voted to obtain land behind the Academy building for a recreation field. Led by members of the Bradford Community Club, the largely unusable swamp land was rehabilitated into ball fields. Recently the ownership of what became known as Memorial Field was transferred to the Town of Bradford. In 1994, Bradford began the acquisition of portions of Wright’s Mountain. Since then, the property has been expanded to over 500 acres with the creation of miles of hiking trails. Recently the site has been honored by the National Park Service and included on its list of National Recreation Trails. Additionally, common land in Bradford includes Elizabeth’s Park on Fairground Road, Boch Memorial Park near the Falls and Denny Park on North Main. What the town lacked in a central ornamental common in its early decades has been more than compensated for by these pieces of common land. As with Bradford’s Wright’s Mountain and Low-St. John Forest, newer town common land is more likely a municipally-owned town forest. Acquired with public funds, grants, private donations and with the help of groups such as the Upper Valley Land Trust, these heavily-forested tracts are maintained for conservation, watershed protection and recreation. One estimate places 67,000 acres of preserved land in 172 municipal forests in Vermont. Thetford owns four parcels of forested land of which the 261-acre Hughes Forest and 171-acre Thetford Town Forest are the largest. As with properties in other communities, Thetford has a conservation commission to manage these forests. The Bushwood Community Forest combines public property belonging to the towns of West Fairlee, Fairlee and Bradford. Additionally, Fairlee owns the Fairlee Town Forest. That 770-acre property was acquired in the 1980’s from the Lange family. In Corinth, the town forest was the gift of Sue Shea and is called the F. X. Shea Town Forest in honor of her late husband. Most recently, Newbury voters completed the purchase of 636 acres to create the Tucker Mountain Town Forest. 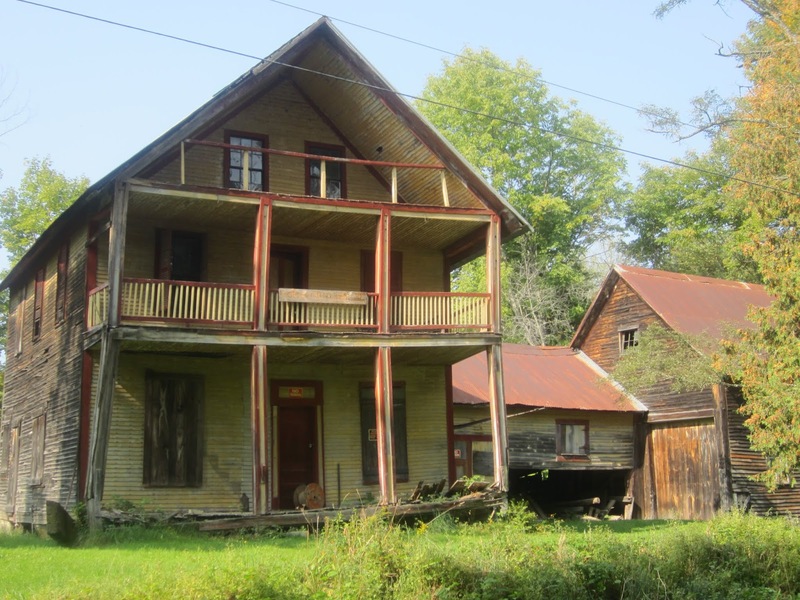 This was accomplished with $25,000 in town funds along with the assistance of the Vermont Land Trust, the Leach family and donations from numerous citizens. One of the municipal properties in Haverhill is the Kinder Forest, a 21-acre parcel initially acquired by the town in the 1920’s to settle back taxes. 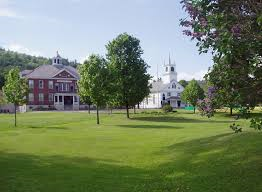 The Woodsville Community Field and the Veterans Park on Central Street belong to the Woodsville Precinct. Nearby Railroad Park is owned by the town. Since the 1920s the community field has been the site of numerous community events. Hazen Park on Hasen Drive honors John Hazen, Haverhill’s founder. As with many municipal forests, Warren’s town forest offers hiking trails. Hazen Park on Hazen Drive honors John Hazen, Haverhill’s founder. In addition to this common property owned by local municipalities, state and federal agencies own large tracts of land in both states. It is estimated that over 13 percent of New Hampshire land is under federal ownership and 2.86 percent is under state ownership. Vermont’s corresponding figures are 6.6 percent and 1.61 percent of land. Local property that falls under this category include Thetford Hill State Forest and Groton State Forest in Vermont. In New Hampshire, there are the Bedell Bridge State Park in Haverhill, the Black Mountain State Forest in Haverhill and Benton, the Tarleton State Park in Piermont, the Davis-White State Park in Warren and the White Mountain National Forest as well as properties occupied by state and federal agencies. Additionally, Haverhill has several Grafton County properties. While this column deals with pieces of common land, there are many properties in each town that are common in the sense that they are owned by the local governments for the public good. Those include municipal buildings, highway garages, water and sewerage facilities, school buildings, cemeteries, firehouses, libraries, beaches and boat launches and roads. Annually, in early March, the citizens of area towns are called together to vote on issues related to these common properties. Those topics include the pooling of their funds for the properties’ operation and maintenance as well as issues over their management. In doing so, we continue the tradition begun by the freemen of colonial New England almost four centuries ago. FOR A BETTER RUN. In the late 19th century, the toboggan was introduced as a safer alternative to the "murderous double runner" or traverse. Local toboggan clubs were started and toboggan chutes were center to winter carnivals. BURLINGTON WINTER CARNIVAL. Beginning in 1884, the Burlington Coasting Club began to hold a Winter Carnival modeled after carnivals held in Montreal. Thousands attended. NO COASTING ALLOWED. As early as 1869, coasting on public roads was being prohibited across the two states. The United Opinion supported this measure, writing "Sliding I the street is dangerous to both boys who slide and the people who walk or ride." . 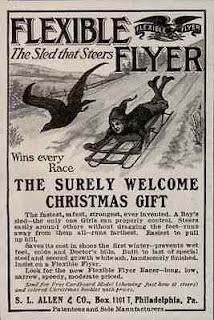 The steerable Flexible Flyer was introduced in 1889. Ads said that their use meant that runs lasted longer, went fasters and damaged boys' shoes less. As I write this column, snow is falling heavily in Bradford. 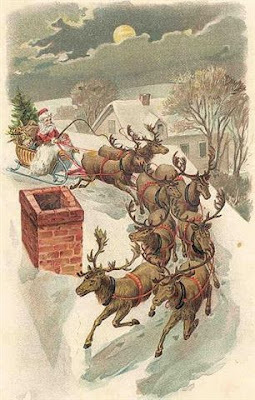 It seems an appropriate time to delve into the history of winter fun in New Hampshire and Vermont, especially in the 19th and early 20th centuries. Because they are model designer states for winter activities, this article will review the history of some of the many activities that have engaged residents in winter-time fun. As there is so much information on the history of hockey and skiing in New Hampshire and Vermont, the history of those activities will have to wait until a future column. The traverse sled is one of several winter toys that began as a working device. For centuries, they were used to haul supplies, lumber and stone, drawn by human or animal power. In the 1870s, Vermont newspapers began to describe them being used for downhill adventures. Known as “double-rippers or double runners,” the traverse was two sleds connected by a plank. The front sled could be manipulated to steer. The number of riders depended on the length of the plank, with reports of sleds that accommodated up to 20 riders. A horse, truck or tractor was often used to pull the sled up a steep and long hill or road. Roy Belyea of Piermont recalls growing up in Warren and riding an 8-person traverse down both Moosilauke Inn Road and Rt. 118. Hauled by a truck up the road, the sled ride would be as much as five miles. The truck would go ahead to warn the occasional oncoming traffic and the ride would often end up in a snowbank. Goshen Road in Bradford and Piermont Heights were two of the many appealing traverse runs in the area. 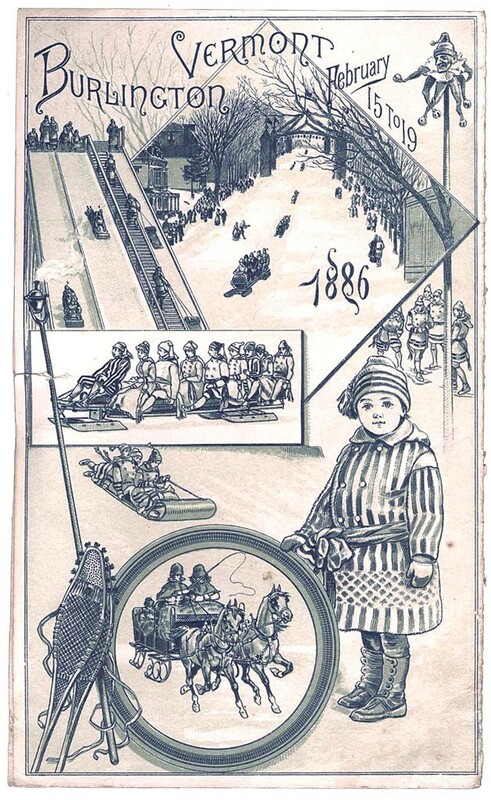 In 1887, the Star and Burlington brand toboggans “were in high use in St. Johnsbury.” Toboggan clubs were formed in Burlington, Montpelier and St. Johnsbury and toboggan suits were manufactured in Saxton’s River, Vermont. Bobsledding was described as the “winter sport that has an element of danger.” The term bobsled was first used for the farm sled used to haul lumber or hay. In the later 19th century it was also used in reference to the regular traverse. In the 1880s, riders in both Switzerland and upstate New York, added a steering wheel to the traverse. By 1909, bobsled races were being held over an iced course. Decades before these toboggans, youngsters had been sliding or coasting down local hills and roads. Bradford’s National Opinion of Feb. 13, 1874 reported on “the downhill tendency of American youth.” It went to report that a single company in Montpelier sold 11,000 sleds for children last winter. The first couple of attempts were short-lived until a path was packed down. Walking back up hill in the path was frowned upon. If a hill was icy, cardboard or an inner tube could replace the sled. I recall that the hill outside the Orfordville school was just right for these substitutes. The jack jumper or snow bob added an exciting toy. Patented in 1904 by Peter Perrault of Brattleboro, the jumper was sold in stores. One could also be made at home with a barrel stave or sawed-off ski as the runner. An upright piece held the attached seat. Using one’s flailing feet and arms for balance , the jumper sends the courageous rider sailing down a snow-covered hill. Diners at a recent East Orange Senior Center luncheon confirmed these coasting details. Long before the flying saucer was marketed, one person recalled a group ride using an auto hood. Bradford’s Forrest Thurston remembered starting at the top of South Road and sliding more than a mile past the district school he attended. During recess or lunch, students at that school used the road for sliding. Beginning in the 1860s, newspaper reports regularly reported accidents between coasters and pedestrians, horses, utility poles, barbed wire, railroad cars, and vehicles. While some communities set aside designated streets for sliding, others began to restrict it. In Dec. 1869, believing “the practice of coasting upon the Highways of Bradford Village is alike dangerous to live and property,” Bradford selectmen moved to forbid it. Beginning that same year, many northern New Englanders travelled to Montreal and Quebec City for winter carnivals. Railroads offered special excursion tickets for the events. The spectators from New Hampshire and Vermont were so taken by the activities that communities and colleges began to organize their own winter carnivals. In 1884, Burlington’s Coasting Club held a five-day gathering in which coasting and tobogganing were the main events. Its 250 members created a chute 30 ft in height and 1,400 ft in sliding length. 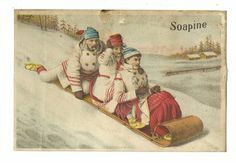 Two years later, the enlarged event included skating, curling, coasting, ice-boating, trotting races on Lake Champlain, sleighing, snowshoe races and hockey matches. The hockey matches involving both local and Canadian teams is described as the first international hockey tournament. Winter carnivals were also held in New Hampshire. In Jan. 1893, a winter carnival was held in Concord and, in 1916, Newport began a winter carnival that is still being held today. In 1921, the New Hampshire Hotel Association encouraged local winter festivals to promote tourism. In 1910, the Dartmouth Outing Club held its first winter carnival. Over the years, skiing events and other outdoor sports of all types along with snow sculptures were added. From the beginning this all-male student body realized “Winter Carnival will not succeed without girls.” More on this carnival and Dartmouth’s contributions to skiing in a later column. Other colleges also held similar events. In 1920, Middlebury began the tradition of “Winter Holiday.” That college indicates their festival is “the oldest student-run winter carnival in the nation.” In 1921, the University of Vermont held winter events that included both college and high school students. The next year, the University of New Hampshire’s Forest Club held that school’s first winter carnival. 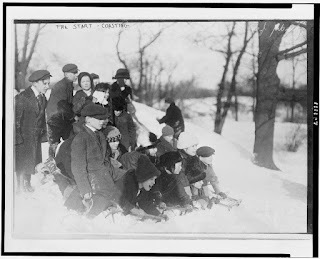 In 1920, Washington’s Birthday became the focus of a mid-winter carnival in Stowe. The organizers “wanted to bring the people in town out of economic and winter doldrums.” It was very successful and, in the mid-1930s, drew large crowds. Suspended during WW II, it did not resume until 1974. Local high schools were attracted to the thrills of a winter carnival. In the 1930s, Bradford Academy held an annual interscholastic Saturday carnival that included students from Hanover, Lebanon, Orford and Woodsville. This would evolve into indoor and outdoor contests between BA students held on the last day of school prior to winter vacation topped by a dance with student royalty. At the same time, a number of winter competitions were held in Orford involving both high school and junior high students. In 1932, Lake Morey was the site of sporting events for 7th and 8th graders. An area-wide competition was held in 1937 and included students from Haverhill, Thetford, Bradford, Newbury and Orford. In the late 1950’s, many of events were held in the field adjacent to the high school. Ice skating was introduced in America in the 1740s by British soldiers. Early skates were attached to the wearer’s shoes or boots. Between 1848 and 1865 improvements included one-piece skates. Skating became very popular as it was the only sporting activity that included both men and women. It was not unusual for a skating party and a bonfire to follow a day of ice harvesting. According to Katharine Blaisdell’s history of Haverhill, beginning in the 1890s, there was skating on the Ammonoosuc River near Woodsville, on Sleeper’s mill pond in North Haverhill and the eddy of the Connecticut River at Haverhill Corner. Over the years, there have been a number of skating rinks throughout Haverhill, both on established rinks and ones created by users shoveling a clear surface. As elsewhere, these rinks were used for hockey and individual skating. Skaters on rivers and ponds were joined by those involved in ice fishing. Newspaper reports indicated that in the late 1890s, concerns for overfishing during the winter began to lead to restrictions. In 1894, ice fishing in both Lake Fairlee and Lake Morey was prohibited. Concern for the pickerel population led the New Hampshire Fish and Game Commission to recommend that all ice fishing be stopped in all but the largest lakes. Their concern was the negative impact on fishing during other seasons. In addition to the above activities, sending a group of children out on a snowy day led to numerous informal winter activities. Building a snow fort and having a snowball fight along with molding a snowman could fill as many hours as the temperatures and appetites allowed. An untouched field of new fallen snow was just right for creating a game of fox and geese. That winter game of tag was played on a large circle, divided like a pie with connecting paths. A snow pile created just the right setting for a King of the Hill challenge. In 1922, The Brattleboro Daily Reformer concluded: “Vermont is beginning to realize on its permanent interest in winter. We have been paying for winter, lo, these may years, but have never realized on the investment in the share of health and pleasure. Now we are cashing in some of our dividends.” For over a century and a half, many New Hampshire and Vermont residents have and continue to enjoy the dividends of living through old-fashioned winters with old-fashioned fun. In his chapter on growing old, Mitchell identifies examples of New Englanders who lived to be 100 or older. If he were writing today, he could easily selected local residents to match. 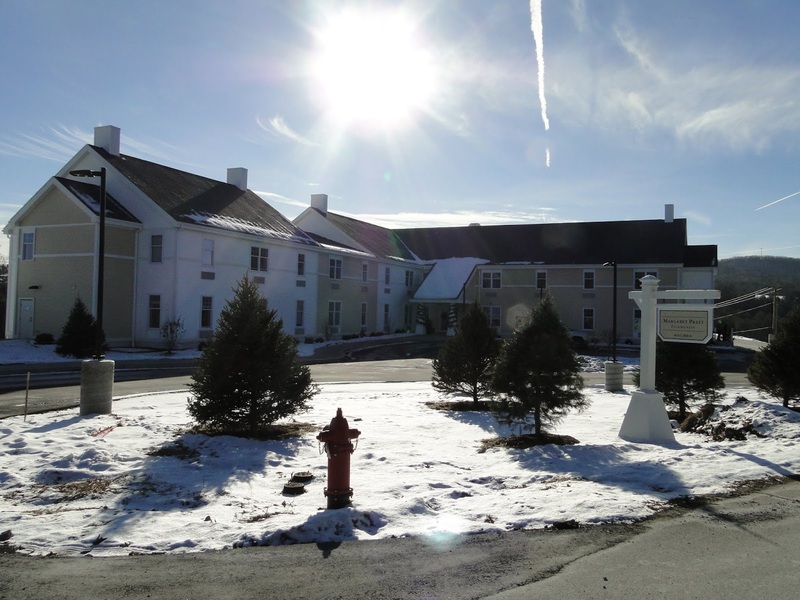 On December 14, the Margaret Pratt Community assisted living facility opened on the plateau overlooking the plain where Pratt lived out her life. Its opening led me to think about how Americans have cared for their elders in times past. The following will focus on that topic from Colonial days to the passage of the Older Americans Act in 1965. The population of colonial New England was young, with only a minority reaching old age. Actually, if individuals lived to be 50, they had a pretty good chance of reaching 70. That is because of the high death rate among infants and women of child-bearing age. Research shows that New Englanders survived to old age in numbers unequaled elsewhere in both the colonies and England. That society’s attitude toward elders was both complicated and often contradicting. Many positions of power and privilege were held by elderly men. These positions were generally denied to elderly women or men of the lower classes. There was generally no such thing as retirement. Even in their declining years, elders were expected to be “up and doing,” performing tasks. This was especially important when towns offered charity to impoverished older persons. An elder’s reluctance to pass land to the younger generation often led to resentment. Many of the early residents of our area came seeking the land that was denied them in southern New England. One Bradford woman was described as “passing the peaceful afternoon of her useful and somewhat protracted life at her old home in Bradford with her beloved son.” Propertied individuals with no children might find a farm family who, for the property, undertook their support. These arrangements, however, did not always work out for the elder. In 1911, a notice appeared in several Vermont newspapers detailing the plight of Orrin Rice of Springfield. Born in 1820 and “at one time one of the most prosperous farmers,” Rice had deeded his farm to his daughter with the understanding that he should be cared for. His son-in-law “made a failure of the farm and the poor nonagenarian ended his days at the town farm.” Rice was my great-great grandfather. Indigent elders, like Rice, who had no means or a family to offer them shelter, sometimes had to resort to the humiliation of going on the public dole. Beginning in the 1830s, local towns established these under the titles of town farm or poor farm. Elders had to share space with the orphans, the poor, the mentally and physically disabled and the ill. The Overseer of the Poor and a resident manager were responsible for these establishments and made an attempt to make the farm self-sufficient. “Inmates” were expected to work as much as possible. Admitting that one was unable to care for self was a measure of last report. One Stowe resident was quoted as saying “I’ll starve or freeze to death…before I will go to that accused poorhouse.” Being a resident meant that one’s name and personal expenses to the taxpayers was published in the annual report of the town, adding to one’s humiliation. The development of the county farm system in New Hampshire relieved local towns from the need to maintain town farms. The Grafton County farm began being established in 1867. In Vermont, poor farms declined after 1880 as other helping organizations and agencies were created. Organizational homes for the elderly began when Philadelphia’s Indigent Widows’ and Single Women’s Society established one in 1823. By the mid-nineteenth century, fraternal, religious and trade organizations began opening nonprofit homes for their elder members. In New Hampshire, the Odd Fellows and Rebecca groups opened a home in Concord in 1887. The Masonic and Eastern Star Home was established in Manchester in 1904. The Vermont Eastern Star Home in Randolph opened in 1922 and served elderly members until 1988. The Gill Odd Fellows Home in Ludlow opened in 1896. About the same time, there were several non-profit homes for the elders created by civic-minded groups. In 1874, the Invalids’ Home was established in Keene by members of the Unitarian Church. It was the first residential care facility in the state and offered “housing, comfort and aid to the lonely and forlorn women of the community.” In Vermont, the Burlington Home for Aged Women opened in 1888, the Old Ladies’ Home opened in Rutland in 1890 and the Brattleboro Home for the Aged and Disabled and the St. Johnsbury Home for Aged Women both were established in 1892. There were also a number of benevolent societies offering, among other benefits, old age assistance. Members paid monthly dues when young and healthy to receive help when needed. The St. Andrew’s Benevolent Society of Vermont, chartered in 1892 and headquartered in Groton, had chapters around the state. Modern Woodmen of America was another example of this type of fraternal benevolent group. The local home nursing movement began in the two states in the 1890s, often offered first by large businesses to their employees and their families. In the 1920s, local classes on home nursing were held by the Red Cross and Home Demonstration groups under the auspice of the Orange County Farm Bureau. 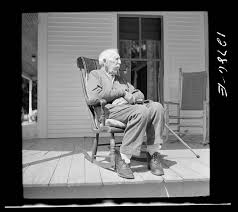 To meet the needs of aging Civil War veterans both states established soldiers’ homes. Vermont opened its home in Bennington in 1887 and within the first ten years admitted 286 veterans. New Hampshire open one in 1890 in Tilton and within the first two years admitted 143 veterans. As with the poor farms, some elders resisted leaving their families and going to be cared for at public expense. While that was too shameful, receiving a veteran’s pension from the national government was not. Beginning in 1861, the Federal government began awarding pensions to disabled veterans and widows and orphans of the deceased. Veterans sometimes waited until they were elderly to apply for these benefits. In 1893, 28 years after the end of the war, there were 9,705 pensioners in New Hampshire and 10,069 in Vermont. Veterans’ benefits consumed 37% of the federal budget. The political clout of veterans’ groups kept benefits assured. At the same time, there was considerable reluctance to offer compulsory old-age benefits to all elderly Americans, a benefit many Europeans enjoyed. Private pension benefits were offered by some companies, but many Americans relied on the traditional support from savings, property and family. This was at a time when the length of life was increasing and the length of employment was decreasing. Retirement, forced or voluntary, was more likely, especially in more urbanized settings. At that time, progressive groups began to lobby for universal old-age benefits. A 1909 bill to extend veterans’ benefits to all Americans was proposed. In 1911, Socialist Congressman Victor Bergen submitted an old age pension bill creating a government pension for all Americans at age 60 ”sufficient for their support.” One hundred Barre area citizens submitted a petition in support of the bill. These bills never made it out of Congressional committees. The idea of a government pension for all was denounced as a corrupt form of socialism, amoral and “destructive to the spirit of enterprise.” Neither major political party supported the idea. Attitudes began to change, however, in the 1920s with the rapid growth of poverty among elders. Poverty rates among elders increased from 23 percent in 1910 to 33 percent in 1922 and with the outbreak of the Great Depression, 40% by 1930 and 50% by 1935. Major groups such as the Fraternal Order of Eagles set out to secure old age pensions, beginning at the state level. By 1933, many states offered pensions. In 1931, New Hampshire adopted a plan for residents 70 years and older who had been residents of their county for at least 15 years. In 1935, Vermont adopted a plan for those 65 and older, with citizenship and residency requirement. Administered by the local Overseer of the Poor, the monthly benefit was $30 for individuals and $45 for couples. In 1935, President Franklin D. Roosevelt introduced a proposal for a government pension program modeled after well-established European programs. With bipartisan support, including that of Republican U. S. Sen. Henry Keyes of Haverhill, the bill became law. The resulting Social Security program created a federal safety net for those 65 and older based on payroll taxes paid during earlier employment. The first person to receive an old-age monthly Social Security benefit check was 65-year old Ida Fuller of Ludlow, Vermont. On Jan. 3I, 1940, she received her first check for $22.54. Fuller continued to receive monthly checks under her death at age 100. Roosevelt chose not to include health care as part of Social Security because it was so controversial. Opponents raised fears of government intrusion into the doctor-patient relationship and warned of “nationalized doctors.” In the late 1940s, President Harry S. Truman raised the issue of a health care benefit. Branding it as “un-American and “socialized medicine,” conservatives and the American Medical Association brought an end to his proposals. During the 1960 campaign, candidate John F. Kennedy promoted health care legislation. He said the program was desperately needed in “every city and town , every hospital and clinic, every neighborhood and rest home in America—wherever our older citizens live out their lives in want and despair under the shadow of illness.” He wanted to build on a very limited health insurance that had passed in 1960, but was impacting only one percent of the elderly poor. When he assumed the office of President, Lyndon Johnson vowed to fulfill Kennedy’s promises. Proposals were, as they had been before, bottled up in Senate committees chaired by conservatives. The landslide election of Democrats in 1964 opened the door for change. In 1965, Congress pass and Johnson signed into law the bill that led to Medicare and Medicaid. Those program, enhanced by additional benefits, have radically changed health care for America’s aging adults. That year the Congress also passed the Older Americans Act. This was the first comprehensive federal program to provide home and community-based services for elders, especially for those who wish to remain in their own homes. The 2010 census revealed there were 8,694 New Hampshire residents who were 90 or older, with 232 at 100 years or older. Vermont had 4,589 residents above 90 years with 133 listed as centenarians. In 2016, it was reported that Vermont had 14,000 residents age 85 and older. As that number continues to rise, New Hampshire and Vermont follow Maine in having residents with the highest median age. Most elders, even these of advanced age, hope to live out their lives in their own homes. Services such as senior centers, senior housing, adult day services, home-delivered meals and visiting nurses help to make that possible for many. As always, the keys to elder care are family, good health and assets. When those are not available, government programs make elder care generally available to even the poorest. For those who cannot live at home, there are private and government facilities available. Even when one’s resources run out, and they are supported by what my Dad called “the federal gravy train”, there is quality care available. 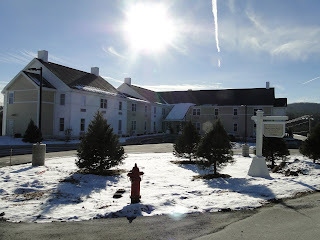 The Margaret Pratt Community facility joins the Atkinson House in Newbury, the Blue Spruce Home and Oasis in Bradford and On the Green and the Grafton County Nursing Home in Haverhill in providing care for the aged. At age 76, and with a view to the future, I join those who are grateful that all these programs are available. Happy New Year. SINGING THE BOYS HOME. In the aftermath of World War I, thousands of American troops returned from Europe. Along with parades and receptions, popular songs such as the one above celebrated their return. TOMB OF THE UNKNOWN SOLDIER. 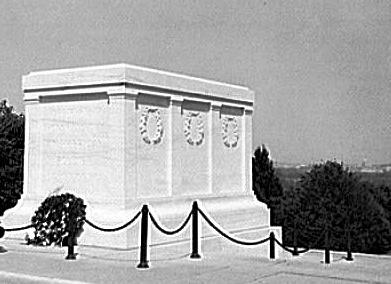 On Armistice Day, 1921, a national holiday was observed as the nation established the Tomb of the Unknown Soldier in Arlington Cemetery. Built from Vermont marble, the shrine was the final resting place for an unknown American soldier brought home from France. World War I, the Great War, began in August 1914. The United States entered the conflict in April 1917 after Germany declared unrestricted submarine warfare on American vessels. Among the 4.7 million American who joined the military service were over 650 local men and women. The war cost the United States 53,402 battle deaths with an additional 204,000 wounded. Over 63,000 other service members died, many from the influenza pandemic. At least 35 locals died while in service. While these locals served in every branch of the military, many men served in the Yankee Division. As part of the American Expeditionary Force, this division served on the Western Front longer than any other American unit. The American involvement tipped the stalemate in favor of the Allies. The Yankee Division was involved in heavy fighting right up to the armistice that brought an end to the fighting at 11 a.m. Nov. 11, 1918. The war had a major impact on the local home front. In order to mobilize the nation, the national government was given significant new powers to control the economy, the transportation system and the media. Government declarations promoted the war effort and encourage the sale of war bonds. As the country was assisting its allies, there were shortages of food and fuel. Citizens of all ages joined in the effort to meet the nation’s quotas. The nation rejoiced on that November day with school closings, church services, factory whistles blowing and “spontaneous” parades. On April 4, 1919, the first ship load of returning soldiers landed in Boston. Welcoming boats crowded with officials, families and friends met them. Later that month, full-dress parades were held at Fort Devens in Massachusetts and in Boston to honor the returnees before they were discharged. In many area towns, welcome home receptions, banquets and dances were held. On July 5, 1919, Barre hosted a parade for Orange and Washington County veterans, complete with a victory arch erected in the center of the business district. Nov. 11 became known as Armistice Day in the United States and France and Remembrance Day in Canada and Britain. In 1919, President Wilson proclaimed the first Armistice Day anniversary observance with the statement at the beginning of this column. On that day, residents of Newbury and Haverhill hosted a car parade “rivaling the 4th of July.” The custom of observing moments of silence at 11 a.m. in remembrance of the war dead became widespread. In 1920, the newly established American Legion Post in Woodsville observed the anniversary with a dinner, concert and dance. There were also Legion Posts in Bradford, Rumney, Lyme and Newbury. Veterans of Foreign Wars Posts were established in Wells River, North Haverhill, Groton, Fairlee and Bradford, some before and some after World War II. Among their civic activities, these veterans groups sold artificial poppies to raise funds for the needy children of France and for disabled veterans. Communities also used the observance to promote annual Red Cross drives. Returning soldiers also suffered from acute unemployment as the nation experienced a sharp post-war recession in 1920-21.This was caused by the shift from wartime to a peace time economy and the attempt to absorb millions of veterans into the economy. 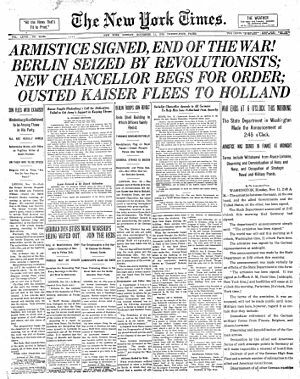 In 1921, Armistice Day was declared a national holiday as America established the Tomb of the Unknown Soldier in Arlington Cemetery. Built of Vermont marble, the shrine became the final resting place for an unknown American soldier brought home from France. Local communities began to create monuments to honor those who served in the recent conflict. 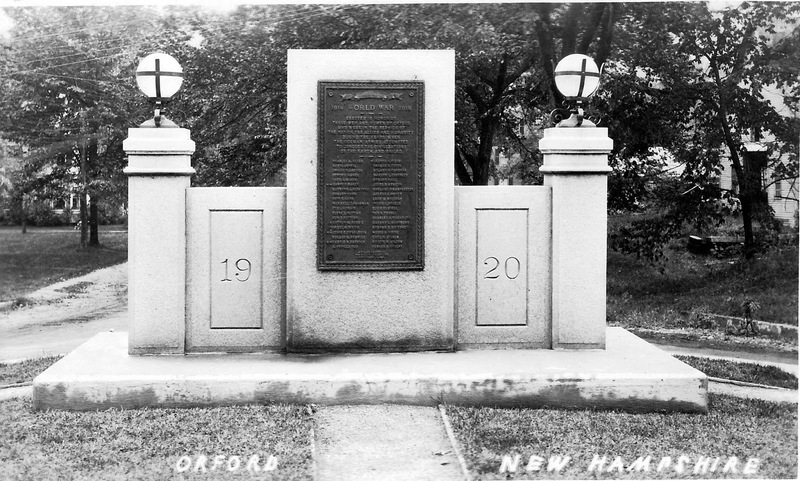 In 1920, Orford created a monument complete with an honor roll. Originally placed at the top of Bridge Street, this monument now stands on the mall next to the Orford Congregational Church. In 2003, that community dedicated a new monument to honor veterans of WW II. It is located in front of the Town Offices. In June 1921, a World War I monument was dedicated at Haverhill Corner. In August 1921, Bradford dedicated a Memorial Park north of the Library. A granite monument was erected bearing bronze tablets with the names of the soldiers and sailors of the Civil War, the Spanish American War and World War I. 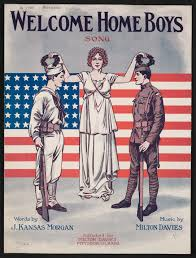 In the 1920s and ‘30s, most states established Armistice Day as a legal holiday. Because the establishing of legal holidays was a state prerogative, it was not until 1938 that the Federal government made it a legal national holiday. Only occasionally did local reporters for The United Opinion mentioned Armistice Day observances by schools and veterans organizations. Elders with whom I spoke recall that Memorial Day was more often observed with programs in schools than Armistice Day. In November 1929, an editorial entitled “Armistice Day Thoughts,” praised the work of the American Legion in support of war veterans and their dependents. As it cited the Legion’s civic programs, it decried the lack of support for ex-service men by the general public. In 1935, the Bradford Legion Post used the newly-dedicated Academy gym as a location for an Armistice Day dance featuring the Bar X Cowboys and caller George Bedell. By that time it had become an established tradition for stores to close for the holiday. This practice continued for some time, although by the 1950’s only some businesses closed for the entire day. World War II and the Korean War created millions of additional veterans and, in the early 1950s, interest in observing a day in their honor grew. In 1953, a special Armistice Day assembly was held at Bradford Academy at which the school was presented with the flag that covered the casket of the late General Herbert T. Johnson of Bradford, former Adjutant General of Vermont. Orators spoke of the meaning of Armistice Day. On that same day, Loyalty Day was observed in the Fairlee Elementary School. In 1954, President Eisenhower signed legislation changing Armistice Day to Veterans Day. In keeping with the theme of honoring all service men and women who had served, special ceremonies were held locally. As it is a day honoring all veterans, Veterans Day is spelled without an apostrophe. In 1968, the Federal government, as part of the Uniform Monday Holiday Act, moved Veterans Day to the fourth Monday in October. When the legislation took effect in 1971, some states began to move the observance back to November 11th. In 1978, with popular support, the Federal holiday observance reverted as well. For some years, the Legion Post in Woodsville has led other veterans groups for a ceremony at the veterans monument on Woodsville’s Central Street. The ceremony draws up between 40 and 100 participants and spectators depending on the weather and the day of the week on which Veterans Day falls. The veterans groups also sell poppies. Veteran Leonard Dobbins told me that Veterans Day ceremonies had been held in Bradford for decades. Scott Johnson, Bradford’s American Legion Commander, said that for some years a short Veterans Day observance were held at the Bradford Gazebo. In 2010, at a special Veterans Day assembly, Oxbow High School and River Bend Career Center dedicated an honor roll to the students, faculty and staff members who have served in America’s armed forces. The plaque is located next to the flagpole on the front lawn. On November 8, 2018, the Bradford Historical Society met with the students and staff at the high school to honor veterans and commemorate the 100th anniversary of the armistice. On November 11, 2011, Bradford dedicated Veterans Honor Rolls for its veterans from World War II, Korea and Vietnam. The ceremony, which took place in the auditorium of the Bradford Academy, was attended by about 150 local residents, including some 6th graders from the Bradford Elementary School. The attractive wooden panels with engraved name plates were crafted and donated by Copeland Furniture. In 2012, Piermont’s Veterans Memorial was moved from its location in front of the old town hall to become the center piece of the new Piermont Memorial Gardens in the South Lawn Cemetery. In May 2016, the Veterans Memorial that had been placed on Bradford’s Memorial Field in 1965 was moved to a more prominent location on the front lawn of the Bradford Academy. The dedication of this new setting was part of Bradford’s 250th celebration. There are no living World War I veterans in America. Frank Woodruff Buckles passed away in 2011 at age 110. He was “our last living link” to that Great War. The ranks of World War II veterans are rapidly being depleted and the obituaries of Korean and Vietnam conflicts veterans are increasingly common. This year, as in other years, newspapers will include mentions of Veterans Day in columns and advertisements. Television programs will make note of the day and may mention the centennial observance. Some businesses will close and others will offer special deals to service personnel and veterans. Veterans’ groups will hold ceremonies. Concerts, parades and wreath-laying ceremonies will be held across the nation. Flags and poppies will appear. Some will raise a glass to departed comrades. For Veterans Day, 2018, with a whole new group of veterans returned from conflict, this is a timely message. During the years, Bradford's Main Street has experienced a pattern of businesses opening and closing. 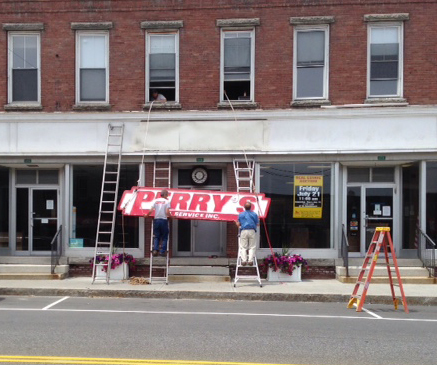 Perry's Oil is gone. It has been replaced by Thomson Fuels and Alarmco. 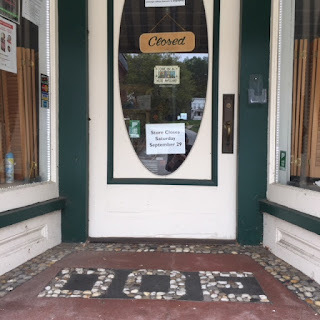 Pictured above is the going out of business sign for North of the Falls shadowing the stone reminder of the Doe Brothers that occupied the storefront for many years. 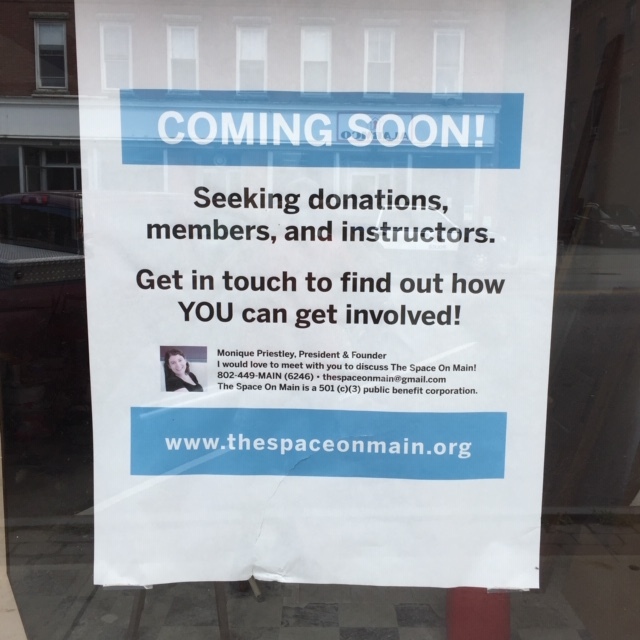 The Space on Main will open on Oct. 12, 2018 and occupy the space left vacant by the demise of Hill's Five and Ten. In July, Valley New columnist Dan Mackey wrote an article entitled “When All Shopping Was Local.” As a West Lebanon resident, his observations centered on that part of the Upper Valley. Informative and entertaining though it was, no mention was made of those retail stores that have come and gone in our immediate area. This column will attempt to fill that void. It describes the rise of the first local country stores, the impact of village retail centers and summary of those factors that have challenged those centers.. Faced with scores of local examples, I have used samples of retail establishments to illustrate historic trends. Information was taken from local town histories and newspaper as well as online sources. Pioneers who settled this area were subsistence farmers and generally produced most articles they used. The few other consumer items they needed were brought overland on sleds or wagons, depending on the season, and on flatboats on the Connecticut River. Additionally, farm families would barter agricultural products for items from local craftsmen, including blacksmiths and shoemakers. Col. William Wallace of Newbury was one of the first to establish a store. Beginning in 1775, he sold items he imported. As there was a general shortage of currency, he would accept fur, pot and pearl ash, ginseng root, handspun cloth or labor for the items families needed. Early store owners or traders would stockpile local goods until they had enough to ship to down country markets. Some of the other early stores in the area include the following: Jonathan Conant in Lyme, 1785; Gen. John Montgomery, North Haverhill, 1793; James Cameron, Ryegate, c. 1797; Josiah Marsh, Wells River, 1799; John Hill, Groton, c. 1802 and Daniel Wheeler, Orford, 1804. Micah Barron opened the first store in Bradford around 1800 and opened stores in East Corinth and East Topsham between 1808 and 1810. General stores opened in each of Thetford’s villages at about the same time. Population concentrated around hydro powered mills and transportation crossroads, leading to commercial villages in Bradford, Wells River and Lyme. 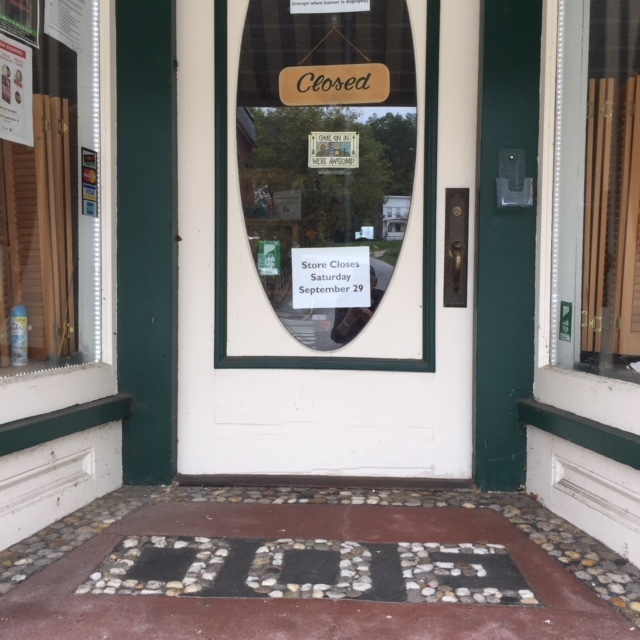 With the expansion of the railroad at Woodsville, mining near West Fairlee, and tourism in Fairlee, those villages also developed retail offerings. Bradford in the 1850s was an example of the development of the mercantile economy. In addition to three hotels and a livery stable, there were five merchants that sold dry goods and groceries. These stores offered everything from medicines, crockery, ready-made clothes and hardware to spices and ironware. By the 1870s, there was also a shoemaker and two tailors as well as four milliners along with harness makers, a dentist and three blacksmiths. Wells River continued to develop as a commercial center. By the 1880s, there were commercial buildings along Main Street offering consumer goods to customers from that village and outlying rural area. The coming of the railroad made it easier for merchants to offer a wider variety of good. It was not unusual for local merchants to offer items manufactured from both throughout the nation and from abroad. The changes in society brought an enhanced consumer demand for merchandise and retailers met those demands. The coming of the railroad also made it easier for mail-order businesses such as Sears-Roebuck to offer merchandise sent directly to the consumers. With the introduction of Rural Free Delivery in 1896, rural customers had access to a variety of merchandise beyond that offered by local stores. Woodsville was the last of the commercial centers to expand. The 1919 history of Woodsville lists the following businesses: five grocery stores, one jewelry store, two hardware/furniture stores, two banks, several clothing stores, one barber, three lawyers, three doctors, one hospital, one druggist, two hotels and a number of restaurants. Stores were generally owned by local entrepreneurial families and therefore reputations were highly significant. Distance of travel to the commercial center determined how frequently customers came to shop. As many stores were specialized, shopping entailed visits to a number of outlets. Generally, the customer would approach the counter and indicate to the store staff the items desired. As many products were purchased by the store in large boxes or barrels, many items had to be weighted out and wrapped for the customer. Weekly or even monthly trips to the local general store also meant devoting some time to catching up on local happenings. The arrival of the automobile changed shopping habits. Trading was no longer as local and could be undertaken more frequently. A shopping trip from Corinth to Bradford, for instance, was no longer an all-day activity. There were also peddlers selling tin ware and notions and salesmen with ice, meat and milk delivery wagons who visited rural areas. Even into the mid-20th century, the Sunbeam and Grand Union delivery men continued that practice. In the 1940s, local retailing underwent major changes. Self-service grocery stores like First National and A & P, began to appear in commercial centers. The local First National stores, including those in Bradford, Fairlee and Woodsville, were supplied out of a regional distribution center in North Haverhill. Called supermarkets, these self-service stores offered aisles filled with a variety of food and household products. Customers pushed carts around, perhaps stopping briefly to order from the meat counter where the butcher would assist with selections. Checkout staff generally knew the regular customers and, depending on the lines, might spend a bit of time in conversation. In a similar fashion, department stores were likely to offer a larger selection of consumer products, organized into sections devoted to shoes, clothing and other supplies. Five & Ten Cents variety stores in Bradford and Wells River were examples of this type. In 1967, Bradford historian Harold Haskins described the mercantile profile of that community as a shopping center for area residents. Families made frequent trips to Bradford to take advantage of some of the following: one bank, three automobile agencies, two barber shops, a frozen-food bank, five beauty shops, a dairy, a greenhouse, two fuel dealers, three bottled gas dealers, eight gasoline stations, four plumbers, seven motels and cabins, a laundromat, three-year round restaurants and one summer dining room, a public typing service, and a funeral home. There was also two doctors, one veterinarian and three dentists. Stores included three chain food stores and four independent, a meat market, three general hardware stores, a Five and Ten store, a men’s furnishing and jewelry, two ladies’ shops, a children’s clothing store, a furniture store, four appliance dealers, a drug store, a television and radio shop, three feed dealers, a state liquor store, two auto parts stores and a mail-order service. These are in addition to two real estate brokers, three insurance agencies, three painters, four carpenters and builders, two electricians and a woodworking shop. Growing up in Orford in the late 40s and 50s, my family made frequent visits to Bradford for many of the things we needed. School shopping meant a visit to Hill’s and Doe Brothers. Bowling alleys and a movie theatre offered entertainment. My parents did their banking in Bradford and stored extra food in the frozen-food bank. Stores were open on Saturday night as many people got their paycheck that day. Even when it was changed to Friday night openings, crowds of shoppers made the weekly open night similar to the later Midnight Madness events. The four decades that followed saw major changes. Grocery stores became larger in a series of replacements. In 1963, a 5,000-square foot Super Duper opened in the former Bradford bowling allies and then moved to a new store on the Lower Plain. That store later became Grand Union, then P & C and in 2012 was taken over by Hannaford’s. That chain’s new 35,000-square foot store opened in 2012 and serves customers from throughout the area. In 1978, Gould’s of Piermont moved from the village to a new store at the corner of Rt 25 and River Road. Before being destroyed by fire in 2000, it also housed Stop & Save and Bronson’s. Woodsville’s Butson family was involved in grocery sales for one hundred years. Known as People’s Market and later Butson’s, the grocery store occupied several buildings in central Woodsville and in 1985 moved to a new building on Rt. 302. Shaw’s now occupies that site. In Fairlee, the closing of the First National allowed Thetford’s Wing’s store to open in 1964 in the Colby Block. Its current store to the south opened in 1995. There continued to be a number of ”mom and pop” convenience stores in villages throughout the area. In the 1960s, Rockdale’s, a large chain discount department store, opened in one of Lebanon’s abandoned mills. At first, items were often displayed in bins with every effort made to reduce overhead. It was the beginning of a series of changes that challenged local retailers. In 1967, a Forest Hills Factory Outlet opened in the former First National warehouse in North Haverhill. It was replaced by the Ames store in 1975. Ames moved it operation to a new store on Woodsville’s Central Street in 1990. That store closed in 2002. Three years later Ocean State took over the building. Walmart opened its superstore in 2008. In 1969, Vermont adopted a sales tax on retail sales. New Hampshire did not, putting Vermont businesses along the boarder at a competitive disadvantage. By the mid-1970’s, I-91 was extended to St. Johnsbury. That opened larger commercial centers in St. Johnsbury, Littleton and Lebanon to local shoppers. Predictions that Rt. 5 would become abandoned, with grass growing from the cracks did not materialize, but the impact was felt on some area business that could not compete. Areas adjacent to exits became a magnet for new businesses. Scores of locally owned businesses opened, changed hands or closed during the period after 1964. In some cases, the businesses had served the area for decades. Newer residents of the area may not recognize the following businesses that have disappeared: Doe’s Brothers, Erskine’s, Wells River’s Five & Ten, Clark’s IGA, Borden Walker-- Furniture King of the Valley, McLam’s Hardware, Hebb’s Store, Grossman’s, Martin’s General Store, Crossroad Pharmacy, Gove & Morrill Hardware, the Groton Village Store, Ryegate’s Corner Store and Perry’s Chrysler-Plymouth dealership. To that list were numerous restaurants that opened and closed, as is the custom in that type of enterprise. At the same time, new enterprises have been added. Those include Fogg’s Hardware, Wells River Chevrolet, Copeland’s Factory Store, Subway, McDonald’s, Farm-Way, Oakes Hardware, Family Dollar, Colatina, Kinney Drug, NAPA, RiteAid and Valley Floors. Some of these are locally owned either as independents or franchises. In addition to services or products, all offer employment opportunity to local residents. In 1993, the closing of Bradford’s Hale’s Furniture and Gove & Bancroft Pharmacy led to suggestions that the business district was “rapidly becoming a ghost town.” The recent changes on Central Street in Woodsville with the loss of Hovey’s and in Bradford with the closing of Hill’s Five & Ten and the departure of Perry’s Oil may, again, raise that specter. In response to the earlier rumors, the late Charles Glazer wrote in the Journal Opinion that other businesses would move in “to take up the slack.” The opening of Thomson Fuel and the anticipated opening of The Space on Main on October 12 at the same time that North of the Falls is closing seems to indicate a mixed future for Bradford’s Main Street. Added to the impact of the interstate highway, the Vermont sales tax and the arrival of businesses without close local ties is the rise of the internet. Sites such as Amazon offer a selection of items that even superstores like Walmart may not be able to provide. That leaves local store having to compete both with other local stores and a world of internet offerings. With all of these forces going against them, it is not unreasonable to expect further changes in local retails. Do not be surprised to see “Going Out of Business” signs on your local favorite store. Unless you want to share in Dan Mackey’s “pang of regret,” shop locally as much as possible. As one local bank’s radio ad suggests, the dollar spend locally is magnified as it circulates around the community. That was true in times past and remains true still.